With 35 offices around the world, cut-eassesses more than 12 million candidates across more than 70 countries in over 40 languages each year through its proprietary psychometric talent assessment tools and advisory services enabling clients to make better screening, selection and development decisions. With the addition of cut-e, Aon’s global Talent organization boasts more than 200 assessment and selection professionals, including award-winning industrial-organizational psychologists, with more than 50 years of experience helping employers use science and data to select and develop employees. Combined, the organizations assess over 30 million job candidates using some of the most innovative and award-winning tests in the industry. 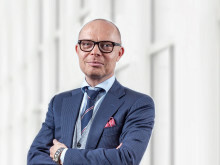 cut-efounders Andreas Lohff, Achim Preuss, David Barrett and Espen Skorstad will assume leadership roles in Aon’s Talent, Rewards & Performance solution group. Founded in 2002, cut-e is a world leader in the design and implementation of innovative online tests, questionnaires and gamified assessments for attraction, recruitment, selection and development. We help employers to identify which candidates have the right capabilities, potential and cultural fit to benefit their business. We undertake 12 million assessmentseach year in over 70 countries and 40 languages. 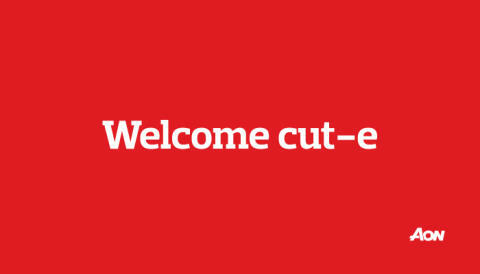 For more information please visitwww.cut-e.com. Aon Denmark er en del af Aon plc, verdens førende konsulenthus indenfor Risk and Human Capital med hovedkontor i London. Vi er i alt 50.000 kolleger i 120 lande. I Danmark har vi tre kontorer - i København, Kolding og Århus - hvor et team på 220 dygtige og engagerede mennesker betjener et bredt udsnit af danske og internationale virksomheder.